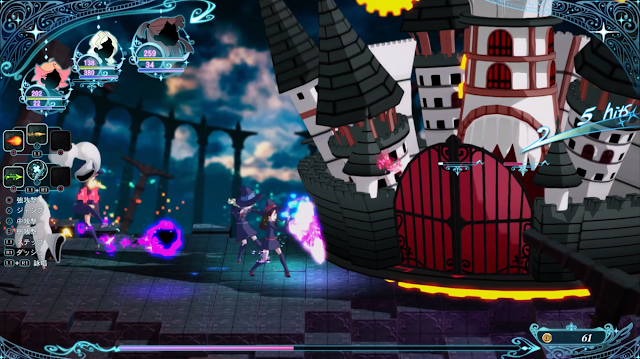 With colourful magic and an anime aesthetic, Little Witch Academia: Chamber of Time’s unique 3D side-scroller cross JRPG gameplay is an eye-catching experience even for those like myself with no experience with its source material. It combines different gameplay elements to create a beat ‘em up with deep JRPG leveling systems that have the potential to put a thoughtful edge on running through trap-filled dungeons and complemented by eye-popping visuals that mimic the art from its original show, it stands out as a game based on an anime. With this and a group of fun characters made accessible even for first-timers to the series, Little Witch Academia’s first journey into the world of video games seems very promising so far. 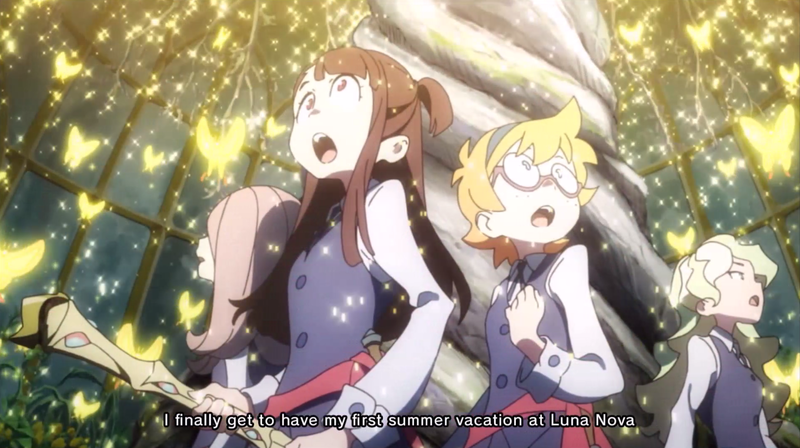 Little Witch Academia: Chamber of Time revolves around a young studying witch called Akko and her friends during their summer vacation time at Luna Nova Magical Academy, a school where girls learn to become witches. It might be summer vacation, but a new mystery begins to unfold early on and things aren’t quite as they seem, with time moving and repeating in a peculiar fashion. This begins the girls search into the wonders of Luna Nova and its secret dungeon with its colourful cast of characters whose interesting and varied personalities shined through even with a language barrier in this Japanese demo. I was initially worried that Chamber of Time would be hard to follow as someone who has never seen an episode of the series, however it makes an effort to be accessible to newcomers whenever it needs to. When meeting new characters, Chamber of Time gives the opportunity to look back on memories with its characters that gave background from the show into the character’s personality and Akko’s memories and relationship with them, so I never really felt like I was missing any important context. And this context was much appreciated as Akko’s circle of friends has a range of dynamics, from rebels to mentors to rivals that probably would’ve seemed like an odd bunch without explanation. With that knowledge I was able to enjoy the fun dialogue in Chamber of Time and begin my journey of wanting to get to know its characters more. After almost an hour of story fun setting the scene in Little Witch Academia: Chamber of Time, the dungeon fun begins and displays the unique combinations of systems it uses. Like most side-scrollers, battles occur as you run across a map filled with monsters, traps and treasure to try reach a goal and your weapon is the vibrant magic that Akko and friends can wield. What makes Chamber of Time feel unique is the fact it is a 3D side-scroller that allows you to move up, down, left and right to face certain foes further back on the field, a simple but very cool element I haven’t experienced before that made positioning both horizontally and vertically all apart of the battle strategy. This extra element is good, as for the most part other mechanics within the dungeon are pretty simple; you have a weak, medium and a strong attack with varying ranges to work with and it is as beat em ups are about taking down the foes and progressing, at least in this demo where magic skills are limited. But thanks to this depth of field, running through dungeons is much more interesting with rooms not just on the side, but also towards the back of the screen that made this side-scroller more complex and with colours flying everywhere during battle and visually interesting monsters, I found this kind of gameplay more fun as I continued playing. Alongside its interesting core battle mechanics are the JRPG leveling mechanics and skill trees that will feel right at home to many fans of the genre. There’s a lot of customisation that can be done to your characters in Chamber of Time, from equipping weapons with varying ranks to stat point distribution paired with the usual EXP gains from battles. While I didn’t get too deep into all the systems with the language barrier, I can imagine these being fun seeing as I picked up a decent amount of equipment just from the two demo dungeons and with plenty of characters to work with, there’s potential to make your favourites into really strong characters to bust through dungeons with. My favourite part of Chamber of Time’s JRPG elements though was its magic skills trees that are based on the idea of horoscope constellations, which may be one of the visually coolest skill trees I’ve ever seen. There’s more for me to learn about them in the English version, but just flicking through the sheer amount of things to unlock has definitely made me curious about these systems and it makes what could’ve just been a very quick and easy game of busting down monsters a more nuanced experience. If its use of colourful visuals weren’t enough from its battles, Little Witch Academia: Chamber of Time was a treat to look at pretty much for its entire demo. The character models are well-drawn and feel like just like I’d expect them to be in the show, except they pop off the screen thanks to the 2.5D-style that works well with both the narrow halls and open libraries that you can run all around, and the mix of both of these in its dungeons. This demo was missing the proper cutscenes from Chamber of Time’s final game, but from what I’ve seen searching around online they also look straight out of the show and with quality voice-acting to match its high visual quality, this seems like an aesthetically pleasing introduction to the series. Side-scrollers and beat em ups aren’t usually my thing, but mixed with some familiar JRPG elements and an introduction to its fun group of characters, Little Witch Academia: Chamber of Time’s demo has certainly sparked my curiosity about it both as a game and an anime series. 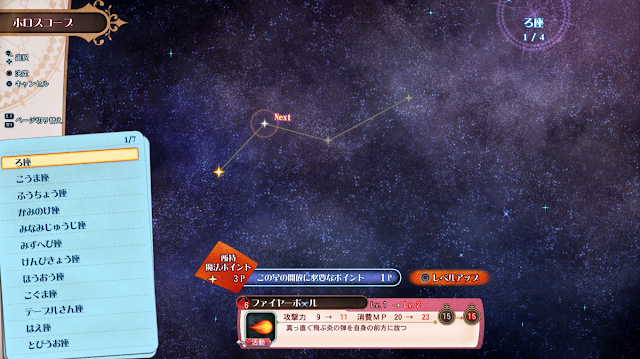 Its added depth to a gameplay genre I usually don’t play made it much more interesting to me and I’d love to play around with its horoscope skill trees more while getting to know its characters more in between dungeons. Its colourful personalities, interesting premise, unique gameplay and pretty magical world has made Little Witch Academia look like an interesting series and while I might not pick it up right away, it’s one I’m intrigued enough by it to want to check it out again in someway another time. 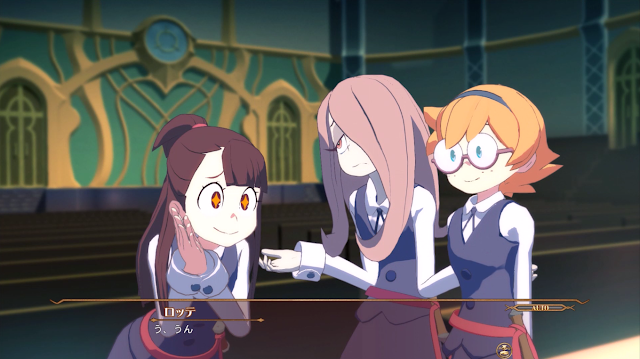 Will you play Little Witch Academia: Chamber of Time? And if you've seen the anime, is it worth watching?